One of the countries that border Lake Victoria, Uganda, is a top destination in Africa that has plenty to offer to its visitors. We have compiled for you the top 5 things to do in Uganda. Either you look for adventure, culture, places to relax or just to enjoy the scenery, Uganda has it all. Called, ‘the Pearl of Africa’, Uganda offers numerous scenic viewpoints for a photographers’ delight. The best tip for a great photographic experience is to slow down and grasp the moment. 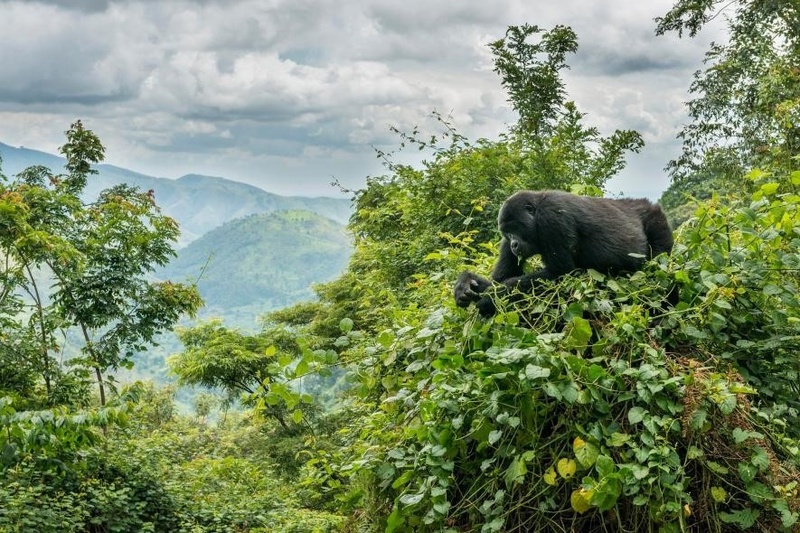 While seeing mountain gorillas in their misty habitat is the country’s most iconic experience, there’s an astounding variety of attractions that can satisfy even the fussiest tourists. Here are some suggested top activities that you cannot miss while in Uganda. Travel agencies offer a wide range of safari tours, for one, three or even eight days. Either you are on a budget or you fancy luxury tours, you will surely find the experience you look for. Prices range from 60 USD for a half-day tour and can go up to 2000 USD, depending on the type of activity, period, distance, accommodation and transportation. The most popular safari in Uganda is Gorilla Trekking in the Bwindi Impenetrable National Forest, situated in the South-West of the country. Approximately half of the world’s population of mountain gorillas live there, making it the ultimate Uganda gorilla safari destination. The safari can be done in any of its 4 regions: Buhoma, Ruhija, Rushaga and Nkuring, each being home to different gorilla families. The gorilla safari begins and ends in Kampala. Prices start from 500 USD, which makes it one of the most expensive activities in Uganda, but it’s definitely a once-in-a-lifetime experience. Tip: if you are on a budget you can opt for the chimpanzee tracking to observe the animals in their natural habitat. You can track them for an hour for 150 USD, or choose an all-day trek for 220 USD, the Chimpanzee Habituation Experience that takes you through Kibale Forest National Park or Budongo forest. Uganda can boast amazing national parks, which are home to numerous animals such as hippos, buffaloes, chimpanzees, zebras, but also some species of birds. You can choose among tours at Lake Mburo National Park, where you can see animals in their natural habitat, go on a boat ride or a guided nature walk. 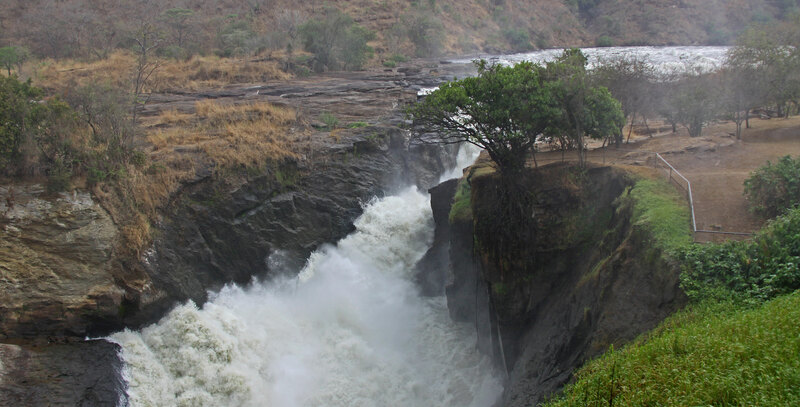 Murchison Falls, Uganda’s largest park is also a top destination. Tours usually include a cruise on the Nile to the base of the falls and a stop at Ziwa Rhino Sanctuary where you can track the white Rhinos on foot. You can also add Queen Elizabeth to your list as here you can spot many species of animals, such as the tree-climbing lions or the elusive leopard. Prices start at 300 USD for a 1-day tour. Lake Victoria offers great fishing opportunities for the experienced fishers, but also those who wish to try new things. The safaris are based on capture and release and are organized throughout the year. If you are a coffee enthusiast don’t miss a tour on a local coffee plantation where you will be shown the whole process from bean to cup. You will take part in the process of picking, pounding, roasting and grinding. The tour ends with a cupping session where you’ll have the chance to taste Arabica and Robusta coffee, which is exported globally throughout the year. The most popular are the tours organized at Kisoro village or at the farmers near Bwindi Impenetrable National Park. Tip: if you prefer accommodation in wilderness areas with a focus on nature, flora and fauna, here are some exclusive safari lodges. If you are looking for adrenaline, you will probably want to experience the jumps organized on a spectacular site, the source of the Nile, in Jinja. You will jump from an altitude of 44m above the Nile and you can even have the opportunity to touch the water – a splash in the river on the first bounce, which is definitely a lifetime experience. Prices are around 100 USD per one jumping. Besides bungee-jumping, adrenaline-seekers can also do kayaking, white-water rafting, mountain biking, horseback riding and quad biking. Check Adrift Adventure for more details on prices and activities. Your trip to Uganda cannot be complete without getting a glimpse of African culture. Ndere Centre, situated in Kampala, offers a performance with traditional dances and music from many Uganda’s tribal groups. You can dance together with the performers and admire their traditional African clothes. The shows take place on Sundays at 6 pm and Wednesday at 7 pm; on Fridays there is an afro-jazz evening starting at 7 pm. This is the place where you can find quality African clothes with amazing colours and design. Kampala Fair is an ethical Ugandan fashion brand that supports the local community. It sells women’s dresses with traditional patterns, children’s clothing, pillows and cushion covers in a wide variety of colours and styles. You can order custom-made dresses, which can be delivered to your address if you are not in town for enough days. If you enjoy shopping or just want to marvel your eyes, you should stop by at the boutique located at Plot 50 Bukoto Street, near Acacia Mall in Kampala. Even though Lake Victoria is located a bit off the well-trodden tourist track, here you can catch a glimpse of authentic Ugandan life. Besides fishing, you can enjoy a boat cruise on the lake to admire the sunset, embark on an island safari (at Ngamba Chimpanzee Island, Ssese Islands) or even go on bird watching excursions. If you just want to relax opt for a beach holiday. Brovad Sands lodge and Islands Club on Ssese Island have direct beach access. There are plenty of things to do in Uganda so if you want to have an amazing experience, organize your trip carefully depending on your preferences and don’t forget to enjoy every moment to its fullest.